A new biography says the former Bosnian Serb leader was no madman but a calculating killer who knew exactly what he was doing. 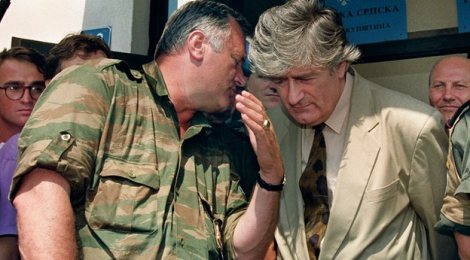 This is Radovan Karadzic as seen by Professor Robert Donia, whose new book “Radovan Karadzic: Architect of the Bosnian Genocide” was published at the end of September, days before the trial of the former Bosnian Serb leader in The Hague closed. Donia – who testified against Karadzic – believes the wartime leader of Republika Srpska, the Bosnian Serb entity established after war erupted in 1992, was not a lunatic, as some claim, but an “aggressive leader”, and a “callous manipulator”. His bases his assertion on almost two decades of research into the 1992-5 war in Bosnia, on documents made available to him by Hague prosecutors, including intercepted conversations of wartime leaders in Bosnia before and during the conflict, as well as on media reports. He finds additional proof for his claim in his research into Karadzic’s life from childhood in a village in Montenegro to his student years. Donia maintains that the documents show that the Bosnian Serb leadership headed by Karadzic had a clear intention to commit genocide. The big question is whether the Hague judges will see things the same way as the author. The answer to that will only be known in about a year’s time when the judgment is due to be delivered. Donia pays close attention to the complicated relationship between Karadzic and his military sidekick, General Ratko Mladic – now also on trial in The Hague. He says the two of them bragged about their “success” in Srebrenica in 1995, when Bosnian Serb forces executed more than 8,000 people after conquering the Bosniak town in eastern Bosnia. 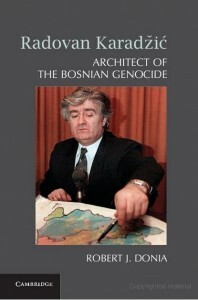 Donia’s book warns of the consequences of the actions of people like Karadzic, as well as pointing out the lack of a timely international response to the war crimes that he and his followers committed. He says it is very important to deconstruct the myths surrounding Radovan Karadzic and prevent the possibility of anyone describing him as a madman as an excuse for his wrongdoing. The nationalism that Karadzic was infused with was the premier force behind the evil that occurred in Bosnia, he writes. “Karadzić, the undisputed principal actor among the leaders, began his journey with an iron-clad, irrevocable commitment to the cause of Bosnian Serb nationalism. He loved his people too much and cared for the rest of humanity not at all,” Donia says. “A man of great ability and immense promise, he turned himself into the architect of the worst atrocities in Europe since the Second World War by unequivocally embracing the twisted values of exclusive nationalism. The book makes some uncomfortable points about democracy as well as nationalism. He sees this as a disturbing example of the capacity of democracy to “facilitate and accelerate mass atrocities. This book is thus not important only for the region, but it has a broader perspective containing important lessons about how evil can develop under the cover of democracy, before the very eyes of the international community. Much more than a Karadzic biography, this book is at the same time a detailed and precise description of the events that led to war in Bosnia and the underlying causes of the war. “Radovan Karadzic: Architect of the Bosnian Genocide” is published by Cambridge University Press.